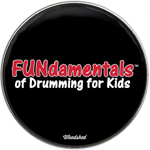 The FUNdamentalsTM of Drumming for Kids program is the culmination of the collective experiences and educations of a professional-player and a player-parent who both understand the tangible benefits of exposing children to music at a young age. Whether a child decides to formally pursue an instrument or not, the skill set they develop will give them an edge in all aspects of education. This includes memory, creativity and enhanced reading and writing skills. 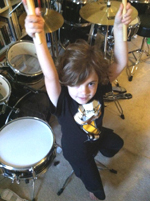 So hand a kid a pair of drumsticks, give them a little guidance, stand back and watch them grow! 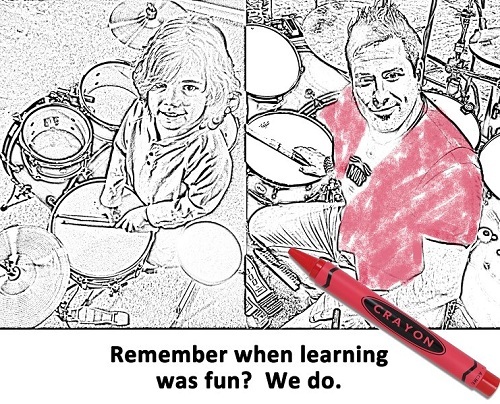 Technique is not the only factor to be concerned about when teaching children about the drums. Health and well-being are important to people of all-ages, but especially to younger kids who are just starting out and have not yet developed the strength or endurance to play the instrument. 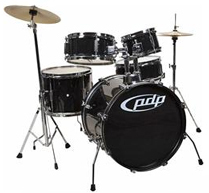 The drums are the most physical of all musical instruments as they require the use of both the large and small muscle groups. They also require a certain level of stamina. This means that the body must be loose in order for blood to properly flow to the muscles. Most professional drummers do special warm-up exercises before performing. Many of them have developed their own pre-show rituals. Proper posture is also very important for drummers. These physical preparations help to create a synergy between the mind and body and allow the drummer to play safely and comfortably. Remember that a healthy drummer is a happy drummer! 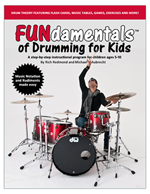 In FUNdamentalsTM of Drumming For Kids we dedicate an entire chapter to stretching and warm-ups. 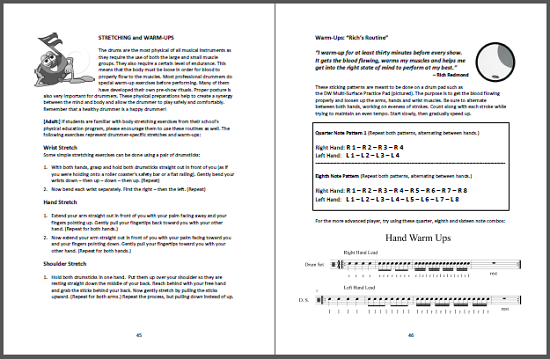 You can download a PDF of the book’s exercises (pictured above) to get you started. 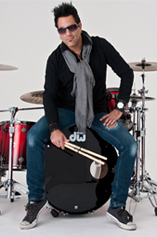 In addition, co-author Rich Redmond has posted a video showing some of his own pre-show warm-ups that you can view here. 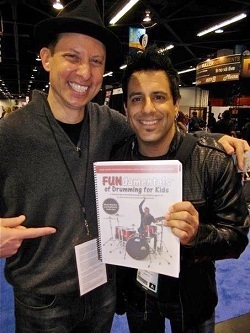 “With FUNdamentals of Drumming for Kids, Rich Redmond and Michael Aubrecht have come up with an exciting, innovative, and yes … FUN … method for teaching youngsters all about rhythm and drumming. Written in clear and easy to understand terms, FUNdamentals looks ‘outside the …box’ by introducing many unique features designed specifically for kids of today. Chief among these is an “exercise grid” that mimics the layout of video games like Rock Band or Guitar Hero.